This fall, San Franciscans will be able to get high while getting swole. A new gym called Power Plant Fitness will allow members to consume marijuana on-site while working out. It's claiming to be the world's first cannabis-friendly gym. 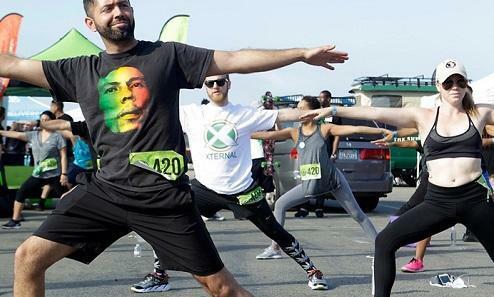 "It won't be a place to get high and just screw around," Jim McAlpine, founder of the cannabis event series 420 Games and cofounder of Power Plant Fitness, wrote in a blog on the company's website. "We are focused on the athletic side, not the cannabis side." McAlpine's other venture, 420 games, is like the Olympics for stoners.